That means focus in on the the right type of workouts (Two-a-day cardio sessions? No thank you! ), proper nutrition and…The missing piece of the puzzle: keeping my metabolic hormones balanced! Training for a bikini competition without paying attention to hormones is a sure-fire way to cause hormone issues. The fitness industry’s norm of low calorie dieting + excessive cardio is notorious for increasing hunger and cravings and ultimately causing a yo-yo of weight loss and re-gain. (Read more here about 3 ways dieting makes you fat here). There are many hormones at play, but today I want to focus on the hunger hormone leptin. You can think of leptin as your “fuel gauge hormone.” Leptin is produced by the adipose (fat) tissue, so when you’re in competition prep and are losing fat at an accelerated rate, it’s especially important to make sure this hormone stays balanced. Leptin’s job is to signal to your brain to let you know that you’re full. When leptin levels are high, your brain knows that it’s full and tells you to stop eating…But what happens when leptin is out of balance? There are 3 ways that I work to balance leptin normally (You can read about those here). But when I’m in competition prep, and taking my fitness and fat loss to the next level, I also like to employ an advanced strategy: REFEEDS. First, let’s talk about WHAT a refeed day is. Essentially, it’s high carb day. Research shows that carbohydrates levels can be manipulated to boost leptin levels as part of an advanced fat loss program. The use of a refeed day should be cycled and this technique should only be used at low body fat levels, otherwise you risk reduced sensitivity to the hormone leptin. A person who has low body fat % will need to refeed more frequently than someone at a higher body fat %. 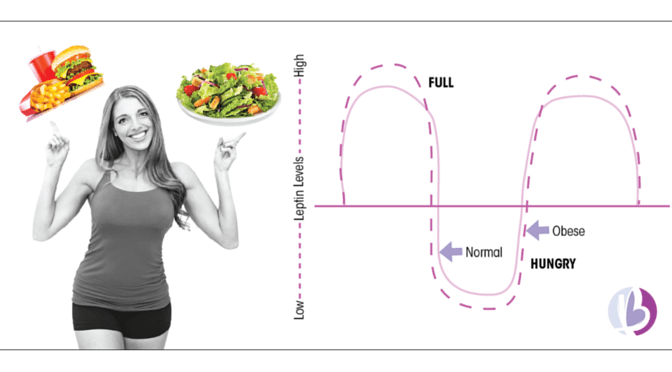 Generally, women in the 10-18% body fat % range will benefit from a refeed every 6-12 days depending on their goals. Women over 18% body fat % will benefit from a properly designed carb cycling plan with one or two high days or one larger refeed every two weeks. As you lose body fat, you’ll need to refeed more often. As mentioned above, the purpose of a refeed day is to boost leptin levels in order to help balance hunger and cravings, and to boost your metabolism. The longer your body is in a calorie deficit during competition prep, then the lower your leptin levels and metabolic rate become. Your metabolism naturally slows when you start eating less, and it becomes increasingly harder to lose that last bit of fat. A refeed day helps combat this. In addition, refeed days are highly anabolic (muscle building) so incorporating a refeed day into your competition diet can be beneficial for muscle maintenance or building. In the beginning, a bikini competition diet is pretty easy. It’s easy to stay motivated when you’re noticing changes in your physique (And if you’ve set up your bikini competition diet correctly, you’ll notice changes quickly!) But as your body adapts to your reduced calorie intake, it’s natural for your metabolism- and progress- to slow down. That’s where I’m at-3 weeks out. When you hit a plateau, instead of simply cutting more calories or adding more cardio (no thank you!) you can boost your metabolism by harnessing the power of leptin. So right now, I’m continuing carb cycling (read about that advanced strategy here) and am incorporating a high carb “refeed” day into my plan for these last 3 weeks. It sounds counterintuitive to EAT MORE to lose fat, but strategically scheduling these refeed days into your diet will help boost hormone levels and ensure your metabolism says in fat burning (rather than fat storing) mode. As noted above, you’ll want to eat the majority of your added carbs on your refeed day around your weight training or sprint workout (That is: both pre and post workout). Studies show that consuming carbohydrates earlier in the day leads to an earlier and longer onset of leptin release. If possible, try to schedule your workout early in the day so that you can front load your carbs. Any caloric surplus that is not used for energy throughout the day will be stored as fat, so since your body naturally requires more energy in an awake vs. asleep state, and during an intensity workout for both energy and recovery and repair, it is best to plan your refeed day on a day that you’re training early. I’m starting refeeds this week and I’ve scheduled my refeed for Sundays after an intense BeyondFit Life sprint workout. It’s been great for getting into competition shape and it’s fun to have a few higher carb meals to kick off the weekend! If done correctly, periodic and proper refeeds can be a powerful way to boost leptin levels and increase your metabolism. It’s an advanced fat loss technique that will most certainly help you take your fitness and fat loss to the next level. This technique isn’t for everyone, and it’s crucial that you employ it properly. Before adding refeeds you must ensure that you’re at a low enough body fat % and you are following a property designed diet. If you’d like help at setting up your macros, learning how to adjust based on progress, I’d love to work with you one-on-one. This will tell you how much to eat when, when to eat your carbs, high days, low days, proper amount of protein, fats, etc. The one-on-one coaching clients work directly with me via email. You’ll be required to send in updated measurements so I can see your progress and we’ll just your nutrition weekly based on your progress and your goals. Food is information to the body. Every time you eat you have the opportunity to burn fat or store fat. Your hormonal fat loss nutrition plan will focus on the unique hormonal effects of food. Eating more of the right foods more often works with the body’s natural physiology and helps control hunger, raise energy and reduce cravings. By working with the body rather then against it, clients automatically eat less without relying on willpower. Nutrition is one of the the most overlooked & misunderstood aspects in fitness. What you eat has a direct correlation on how you look, how you feel, and how likely you are to reach your goal. My goal is to help as many women as possible learn how to #dofitnessbetter and reach their goals. As your coach, I will create a customized macronutrient based diet that fits around your schedule, is easy for you to follow and will help you reach your goals. Fat loss, muscle building, general health, even nutrition for moms who are focused on trying to conceive. Whatever your goals may be, I will create a system that will get you results. The beauty of a customized nutrition plan plan and one-one-one coaching is that I’ll teach you how to understand nutrition in a way that allows you to still enjoy the foods you love. By utilizing the benefits of a “Flexible Dieting” approach to nutrition no longer will you be a slave to the same old bland food choices. NO FOOD IS OFF LIMITS with this program. I’ll help you determine the right macronutrient breakdown for you and you’ll be amazed at how quickly you’ll see results. Unlimited email access to me- your coach! Sign up to get on the waiting list here.